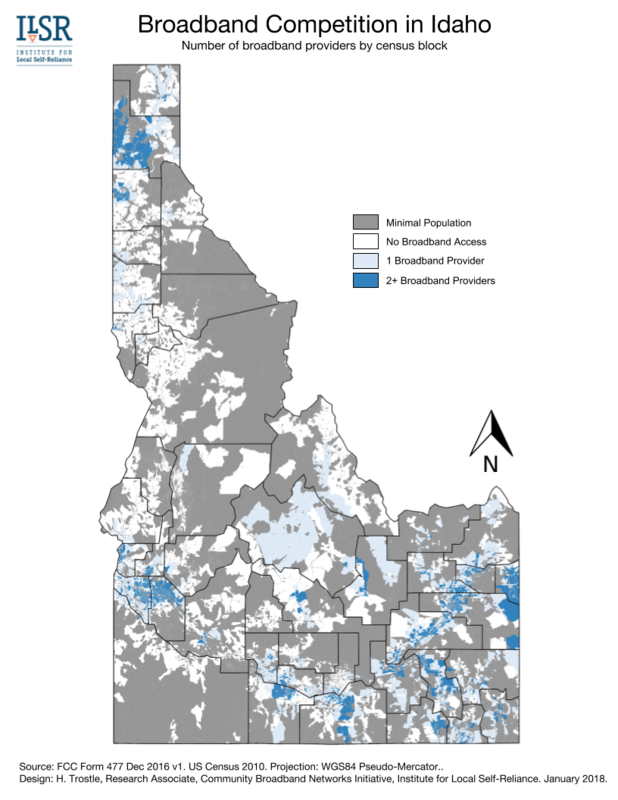 A total of 40 counties and 102 municipalities have now chosen local telecommunications authority by passing ballot measures to opt out of restrictive state law. Last November, 18 counties, cities, and towns voted to join the expanding list of communities opting out of SB 152, which revoked local telecommunications authority in 2005. We decided to update our map to get a new visualization of what the situation now looks like in Colorado. The map, updated by Intern and Mapping Maven Hannah Bonestroo from an earlier version created by former Research Associate and Visualization Virtuoso Hannah Trostle, shows how the decision to opt out is sweeping from region to region. Earlier referendums centered in the Mountain and into the Western Slope and San Luis Valley communities. During this past election cycle, most of the counties bringing the issue before voters were in the Plains region. 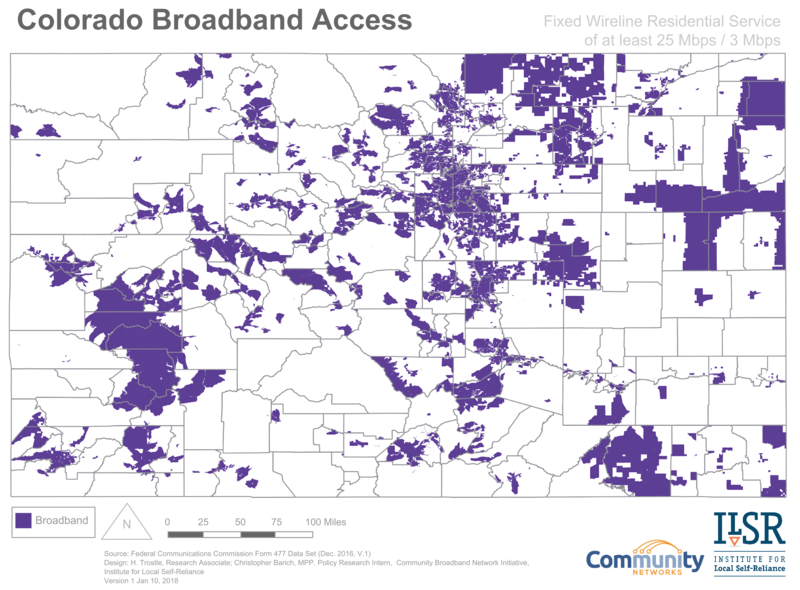 In past years, mountain towns, often resort communities, were looking for better connectivity when big ISPs considered deployment too challenging and expensive in their geographies. Now, it appears that the rural and less populated Plains communities are seeing value in reclaiming local authority. With fewer population centers in the Plains region, farms and ranges fill much of this section of the state. Large, corporate ISPs don’t consider this type of landscape profitable due to the lack of population density, however, farmers and rangers require high-speed Internet access for various reasons. Crop and livestock monitoring and realtime reporting are only a few of the ways 21st century agricultural professionals use broadband. In Colorado, there are 271 active incorporated municipalities, 187 unincorporated Census Designated Places (CDPs) and other small population centers that are outside of CDPs or municipalities. To date, the 102 municipalities that have elected to opt out of SB 152 have all been incorporated municipalities, or approximately 38 percent. 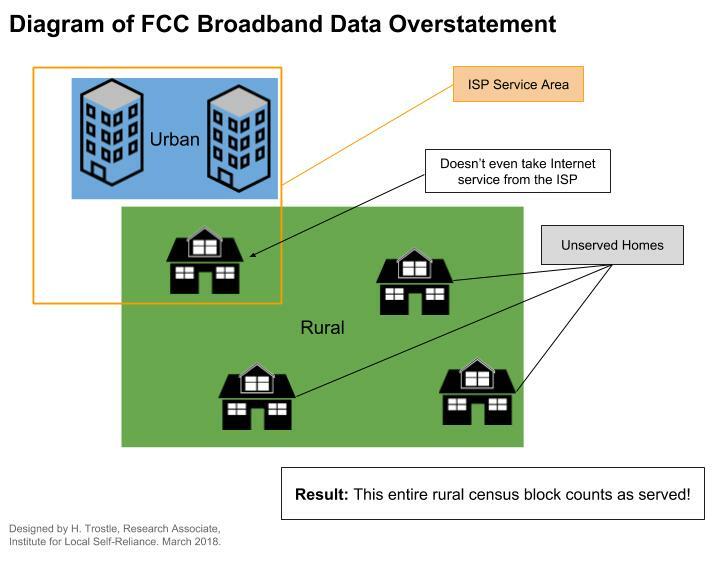 In this policy brief, we highlight the gulf between FCC broadband data for Rochester and what’s actually available to residents by examining local competition. Download the policy brief Broadband Competition in the Rochester Region: Reality vs Federal Statistics here. 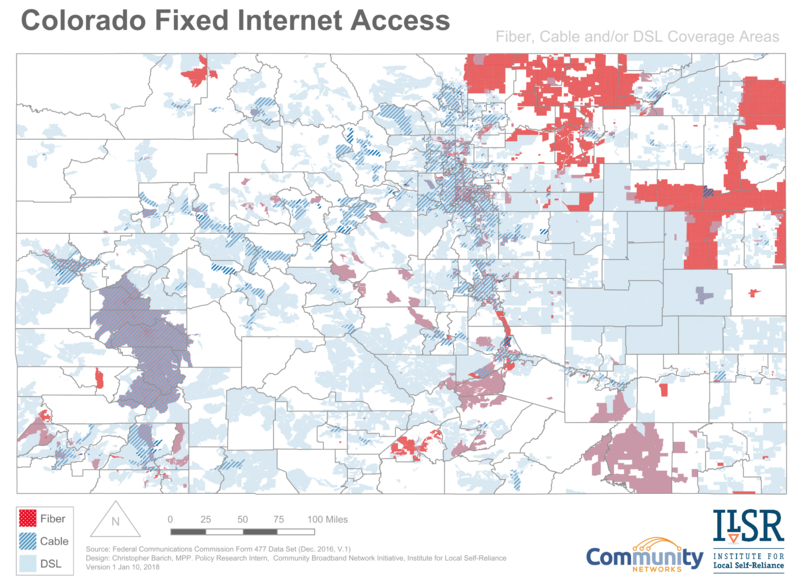 In this analysis, we examined Form 477 Data from ISPs and submitted to the FCC. While the data paints a grim picture of where competition truly exists, those who read the report should remember that Form 477 Data breaks down information into census blocks. 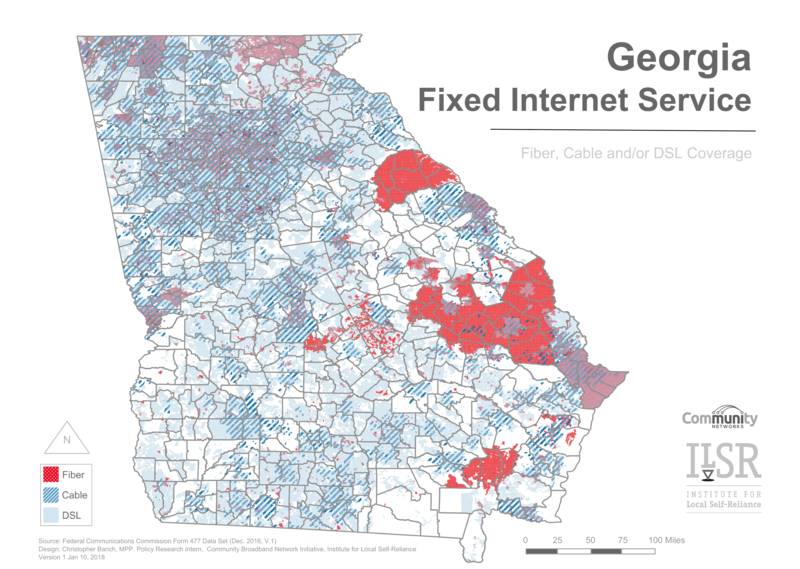 As a result, the Form 477 overstates broadband service availability and the size of coverage areas. With this in mind, we believe the reality on the ground is even worse than what FCC data shows. We have deep hesitations about using this data because of its many inaccuracies, but there is no other feasible option. 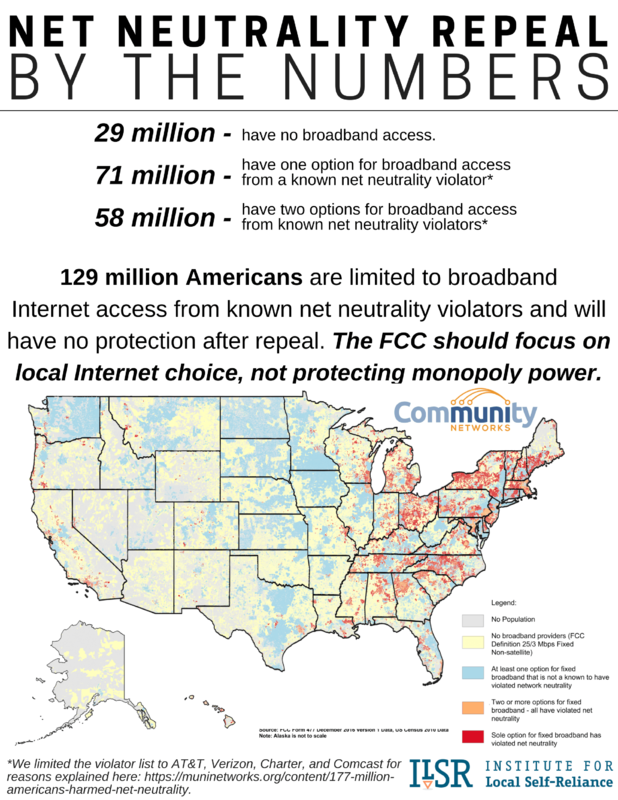 In any event, this provides a conservative baseline for the problems in the market - though we believe the true level of competition is worse than this analysis shows, neither is tolerable in a country that claims to support a market-driven solution for supplying broadband Internet access.